Who won The Voice Season 9? The results are in and the winner will be revealed tonight, Tuesday, December 15, 2015. 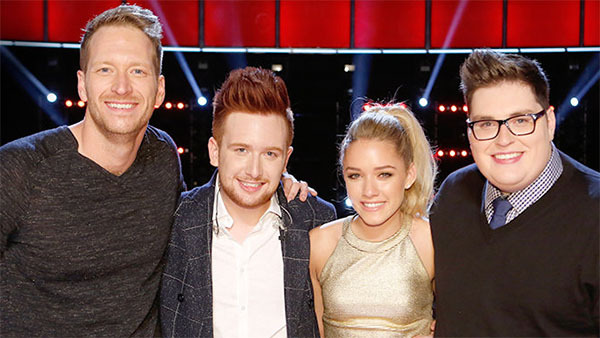 The Voice Season 9 has reach its final chapter. Tonight one will emerged and will be announced as the new winner of The Voice. Who will it be? Is it Jordan Smith, Emily Ann Roberts, Barrett Baber or Jeffrey Austin? The one who receives the highest number of votes from the viewers will be declared as winner. Tonight’s Live Finale will feature performances from Justin Bieber, Coldplay, Missy Elliott, Sam Hunt and The Weeknd. Keep locked on this page, live results will be posted below once announced. Please refresh your page for updates! What do you think of the result? Share your thought and views on the discussion box below!